A David & Goliath IEM Sound Off! When you’re content with a setup, it’s hard to imagine sound can significantly improve after that -whether it’s the first $50 IEM as an upgrade of the free earbuds you got with your smartphone, an entry model in the audiophile market or a TOTL custom – that feeling always remains that this must be as good as it gets. Let’s chalk it down to human nature. But we all started with listening to $10 earbuds connected to a phone, iPod or even Discman or Walkman (I’m talking old school – the cassette players). And we thoroughly enjoyed our music regardless. But if you’re on this website, chances are you’ve experienced a significant improvement in quality since. But still, once settled in with a decent pair of iems from what I consider the top of the consumer market (around $300), it’s hard to grasp in which area’s there’s room for improvement, and if it’s really worth the expense. That perpetual question, whether the price difference is really worth it, is not one I’m even remotely going to try to answer. Fact is, a $300 earphone will get you 80% of the way, providing a thoroughly enjoyable musical experience. Every $500 you go up the ladder after that, an iem’s capability can significantly and quite audibly improve – but at the same time drastically affect the price to value ratio. Whether the improvement is worth it starts to rely more heavily on a buyer’s personal experience, preference, and of course – financial situation. But there’s something similar going on at the other end of the market; the top of the audiophile market. Once accustomed to high-end monitors, it’s very easy to think the lower end of the market has nothing to offer. While in fact, every iem still has its set of strengths and weaknesses, and a lower tier iem can very well outperform a high-grade iem in a specific ability or musical genre. Higher tier iems will generally improve in overall technical ability, but signature still determines a great deal of overall appreciation. In this case, a lower tier iem might match someone’s preference better, or simply be a valuable addition as a specialist to a wider collection. There often seems to be a big distance between two worlds, with little compassion, understanding, and unity (slight dramatization for effect). So in this article, I’m trying to answer a question that I’ve come across many times, in either a direct or indirect form. If sound, or better said preference, is so subjective – what is truly the difference in the experience you get from iems in the top of the consumer market, and those in the audiophile market. 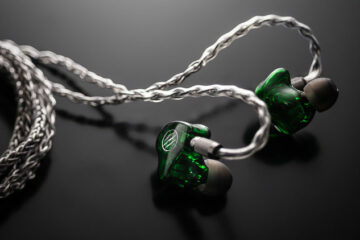 Listening, and the general enjoyment you receive from iems, is a very subjective experience. The way we perceive the world, including sound, is not just a direct translation of physical properties. Perception is shaped by experience, which in turn creates a prediction of what to expect – based on our preferences. Simply said, our brain is constantly trying to fill in what will happen next – it’s a prediction machine. Even while reading this sentence, your brain predicts the next … before you actually read it (see what I did there), which helps to speed up the process. If not you’d have to analyze every word separately as you read it would take a lot longer to get through a sentence, but predicting preselects a number of options to fill in. I’m digressing a bit, but the point is, expectation shapes the actual experience by warping your attention. If you’re used to lush, forward midrange, a V-shaped signature will sound unpleasantly thin; while vice versa, a mid-centric signature might miss detail or sparkle. But this brings us to a common misconception – that sound is a solely a subjective experience. For there are also undeniable technical aspects of sound; objective properties that can be quantified, that affect the experience and quality of listening. Think of aspects like resolution, transparency, soundstage and imaging, but also tonality. These aspects are regardless of signature, as well as preference. So while you can say you appreciate a mid-centric signature over a V-shaped one, it doesn’t make sense to say you prefer an iem with low resolution and bad imaging over a technically better one. The subjective component just relates to appreciation, and usually comes down to signature. The objective component relates to technical ability. Of course the two are not completely separated, but the point is both a V-shaped or mid-centric iem can be either technically good or bad – signature and technical ability are two separate components that influence sound. But there are more factors that affect the subjective component: its price. A common experiment in psychology is the effect of pricing on the taste of wine. Mention one bottle is $5 and the other $45, and people will say the $45 bottle tastes better – even though the wine itself is exactly the same. Even something simple as a fancier label shapes our perception, the mental image we create of an object’s value. But here’s the interesting part – it’s not just a placebo effect. When people are presented with the same choice while their brain activation is being monitored (by an fMRI scanner), there’s more brain activity in areas associated with pleasure and reward. Simply put, people don’t only think it tastes better, it actually tastes better. So our perception of value subconsciously alters the actual experience. We treat cheap iems differently than expensive iems; you might carelessly chuck a pair of $10 iems in your bag or jacket, but you most likely wouldn’t with a $1500 one. But we don’t only treat them differently; we listen to them differently. This is the so-called ‘top down’ effect that shapes the ‘bottom up’ experience. The context of the listening experience (these are some incredibly expensive earphones), can affect the bottom up processing (information from our senses, in this case hearing) in two ways: 1) Increasing attention to perception. You simply pay more attention to what you’re hearing, because you expect to hear more based on value. 2) The mindset or framework with which you listen: either a critical or positive mindset. When you’re expecting an earphone to be technically worse (based on value), you might adopt a critical mindset: accentuating flaws, and devaluing positive attributes. When you adopt a positive mindset it’s possible to justify flaws, because you attribute them to positive aspects (for instance unjustly classifying an overly dark or warm sound as analogue). While these are general biases associated with luxury items, it’s not only a negative effect; they’re also inherently part of the experience. Owning a luxurious product like a top of the line monitor comes with a sense of pride, and heightens the listening experience – it’s not something you can turn on and off. Think about the expensive wine affecting our experience, by increasing the perception of pleasure – you might say that the listening experience is actually different, even before the music begins to play. Just as sleeping in a fancy hotel feels different than a roadside motel – even if the actual beds were the same. But of course, this also counts for receiving your first $300 iem after being used to $50 ones: the new toy syndrome, that everything sounds so amazing. Your listening experience is heightened by the perception of the object. However, and I hope this goes without saying, I’m definitely not saying perception is all placebo – like I mentioned before, sound is quantifiable, and technical attributes can be objectively determined. what’s the most musical, emotional vocals among these stars, if you could rank them ? For emotional vocals, that would easily be the Zeus and Oriveti due to their midrange bump that gives them those nice lush, full and warm sounding vocals. Followed by the S-EM9 or A83 I think, and then the Galaxy and finally Dunu. But there’s some personal preference mixed in with the last few. Zeus and Primacy stand out though! 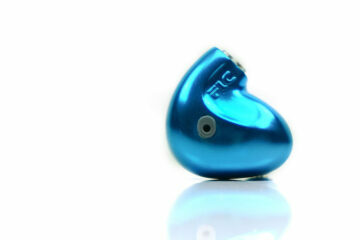 The Galaxy is a very different iem than the other 3. It can be a compliment to the others, but it won’t best them. First of all it’s a single dynamic driver, so it has a very different type of sound; kind of delicate presentation rather than the full sound that the others have. But it’s also tuned more towards the treble; for clarity, detail and resolution. The bass and mids are very linear, but a 5 khz treble shapes the tonality. I personally view it more as an iem for acoustics, female vocals and strings, rather than EDM or rock. will you review se5 Ul and Zeus R ? last Q, what’s your fav. ciem and Iem ? I don’t have any plans to review the 5-way ult, I have to work through a number of reviews first :) As far as I understand Zeus is only a revision, I don’t think it needs a new review but I’ll get some impressions out some time! Zeus was one of my favorites, but I also really like the Rhapsodio Solar and EarSonics S-EM9 in my own collection. about Sem9 very good air , but small soundstage ,depth is good ,,,, but not good enough . Well yes, Zeus is without a doubt better. It is one of the best iems out there. The S-EM9 indeed has an intimate stage. However, the precision in that stage is of high level: its resolution, imaging, and dynamics are all above average in the TOTL segment. However, its midrange is not very full or lush.